That there is a desperate need for affordable housing in the UK is widely recognised. LABM looks at the methodology and recommendations of a report that considers how local authorities and the wider housing and planning sector can introduce key changes to the existing planning system as they attempt to help those most in housing need. 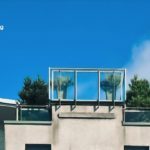 Planning for Affordable Housing is a report funded by The Nationwide Foundation that aims to increase the availability of decent affordable homes for people in housing need. This funding and report followed on concerns that the Town and Country Planning Association (TCPA) found that only 2% of councils say developers meet policies for affordable housing all the time. The charitable funder was also alarmed that councils in deprived areas are struggling the most to secure enough affordable homes through the planning process. These are the communities and residents that need the most help. Significant negative impacts are happening on the many people on low incomes struggling to find somewhere suitable to live. It can affect schooling and education, restricts employment, and it can have a detrimental impact on the health and wellbeing, physical and mental of people who want to settle in a home they can afford. Planning for Affordable Housing provides evidence and recommendations on how the UK’s planning system should be improved so that it becomes more effective at delivering affordable homes. This includes how local authorities could be given more powers to secure high-quality, mixed tenure developments, as well as ensuring that they can maximise and use the powers they already have. The Planning for Affordable Housing project has engaged with over 120 councils about their experience of delivering affordable housing through the planning system, this was conducted through a survey, a series of regional seminars, interviews, a roundtable and an analysis the performance of recently adopted local plans. During the project, councils have explained the problems that they face in attempting to secure affordable housing through the current planning system. At the same time local government officers and councillors have shown a strong willingness to take new approaches to deliver the affordable housing required in their area, and a desire to work more closely with national government, Homes England, developers and other delivery partners. The findings of these discussions with councils were submitted in response to the consultation on the revised National Planning Framework and have been used to formulate 13 recommendations to government which are set out in detail in the fifth section of the report. The third section of the report presents an overview of the project activities and the key lessons learned from them. It is noted that 2018 has seen a significant period of policy change regarding the delivery of affordable housing. Phase One of the project was carried out during this period, providing a unique opportunity to influence emerging policy at a national level using the feedback received from councils and the results of the research undertaken. A timeline is given for activities of Phase One in relation to the publication of the NPPF and Social Housing Green Paper with the rest of the third section giving details on the individual activities and their key findings. LABM selects information from different areas of this well researched and pertinent report. One of the key project objectives robust evidence on how the planning system is currently working, and to evaluate cases where councils are delivering high levels of genuinely affordable housing and how lessons can be learnt from these approaches. Details of how this evidence was collected and the criteria used in the selection of council to take part are given in the report. A stark picture of a planning system failing significantly short of delivering the levels of affordable housing across the country. Combined with the outputs from other routes of delivery (for example) grant-funded schemes and those led by housing associations), there is a major shortfall in the delivery of affordable housing. There is significant variation in outcomes on securing affordable housing across the country, between areas of high and low land values. Social rented homes — those available at the lowest levels — are not being delivered through the planning system in the vast majority of local authority areas. Interviews were conducted with officers from five local authorities selected for a mixture of different affordability challenges. The interviews were conducted across the period of time from the publication of the draft revised NPPF through to the publication of the final revised NPPF, thus allowing insight to be gained on the impact of this crucial piece of national policy on the ability of councils to secure affordable housing across England. Some councils have strong approaches to setting rent levels for new homes at genuinely affordable rates, linked to local wages or insisting on social rented homes. However, this is dependent on the approach of individual councils. One council officer reported that rent levels generally do not match up with welfare levels and particularly with Local Housing Allowance. Many councils say the delivery of social rented homes is simply not viable. But other councils prioritise this tenure and create an expectation among housing associations and developers that they must deliver. Council officers feel that planning is simply ‘tasked with doing too much’ and is being used, according to one officer as a way ‘government avoiding their responsibilities’ in investing in affordable housing. Councils say that as a country we ae relying on the development industry to build the affordable homes we need when it is not within their business models to do so. It was reported by councils that changes to permitted development that allow commercial properties to be switched to residential use without requiring full planning permission are having a significant and detrimental impact on the ability of councils to secure enough affordable housing. 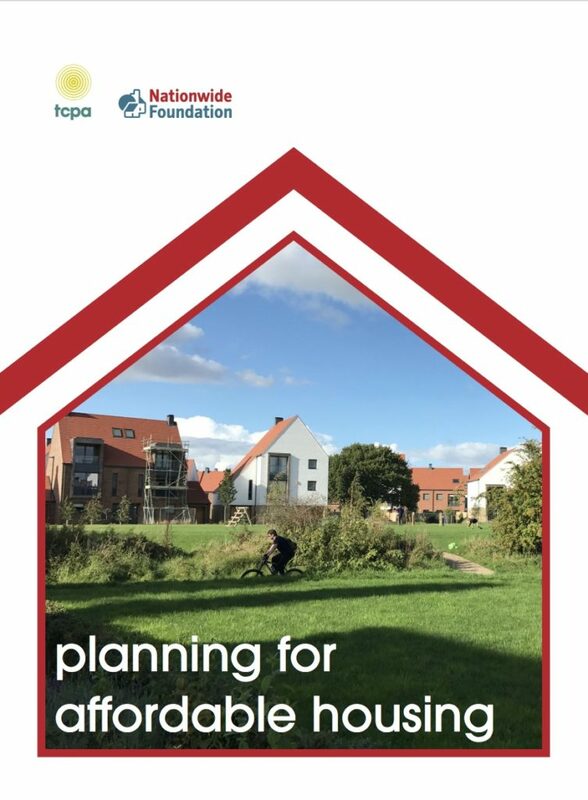 Thorough research amongst councils, housing associations and local authorities and the lessons learnt make Planning for Affordable Housing essential reading for all those involved in social housing and managing the ‘place-making’ process.